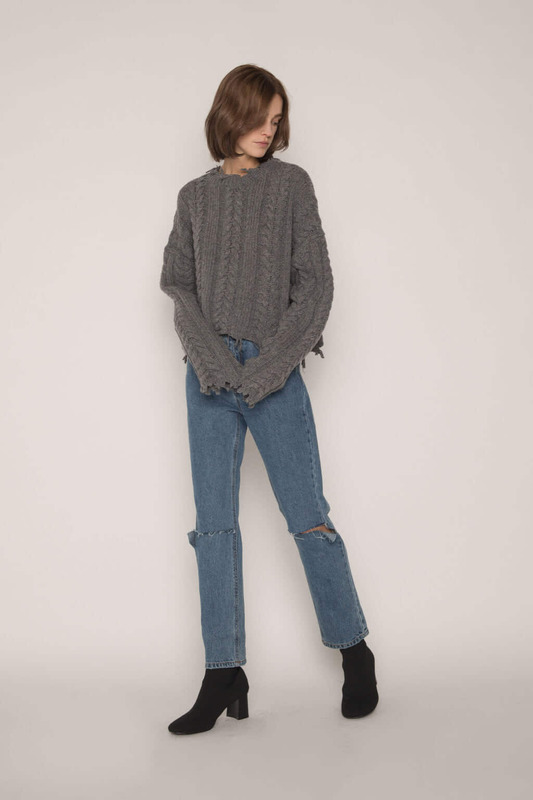 A balance of exceptional warmth and minimal edge, this distressed cable knit sweater is designed with unique raw edges. 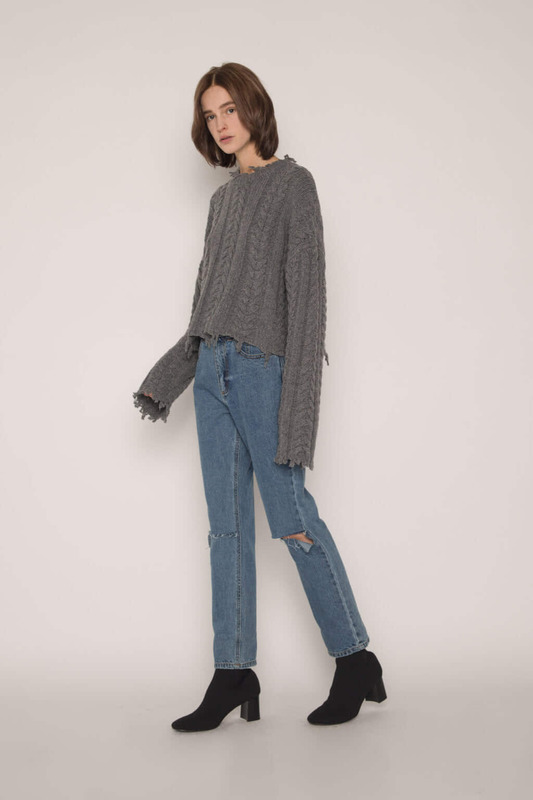 Knit from a blend of wool, it features a cropped length and wide sleeves. Pair with a high waisted skirt for a balanced look.